“I like Wagner’s music much better than anybody’s. It’s so loud that one can talk the whole time without people hearing you.” Bob Marley, Jamaican singer, composer and guitarist, 1945 – 1981. 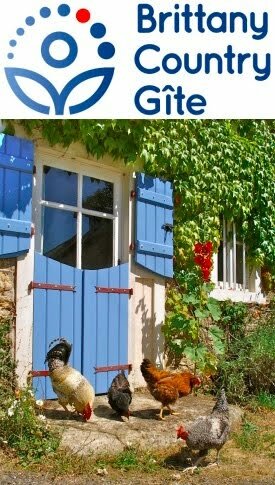 When we were searching for a place in Brittany, we had no intention of running a gîte (rural holiday cottage). We were searching for the elusive combination of a building plot for our straw bale house, along with enough agricultural land for our permaculture aspirations. When we found what we were looking for, it came with a cute little converted stable, which we started renting out. It’s worked really well for us and we’ve had some great experiences with our holidaymakers. Some people keep themselves to themselves and we respect that and others come and chat and feed the animals … and play music. Tony and Louise have travelled all the way from Cumbria, in the very north of England, and Tony packed his violin. When I was telling them about our lives here in Brittany, Tony’s face lit up when I said that Gabrielle plays violin with a couple of local Breton folk groups. They came around for aperos this evening and Gabrielle and Tony made some beautiful music together, though I’m not sure whether it would have been adequately loud for the King of Reggae. So, if you play music, don’t forget to bring your instrument when you come to stay in our gîte.